Produce brilliant, razor-sharp images no matter what the application. The porous coating on the printable front side of this media enhances image definition and provides excellent color contrast, even without backlight.Impress customers with quick turnaround times. Avoid smudges and smears with these fast-drying prints. 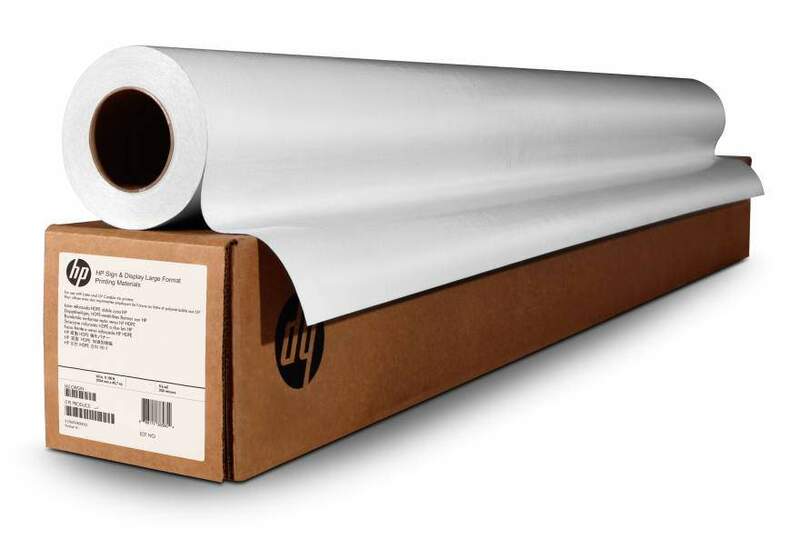 Keep post-processing running smoothly with this thick, stiff film designed for easy handling to resist folds and creases, and to stay in place.Offer your customers a recyclable alternative. This film is included in the HP Large Format Media take-back program, a free and convenient return and recycling program.